While several notable Scots and English families (Graham, Warre and Taylor, for example) emigrated to the Douro valley in the 18th century, others from Port-importing countries did likewise, and the Niepoorts arrived from the Netherlands. Dirk Niepoort now runs the firm, with a dedication and enthusiasm that has made him one of the most popular figures in the wine trade. 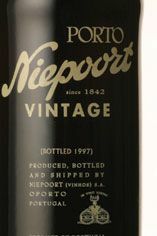 Niepoort was formerly more well-known for its Colheita wines, the vintage tawny Ports that are not often exported. Dirk has striven to improve the company's Vintage Ports; His vineyards were upgraded (notably most are farmed organically, without any pesticides and herbicides) and the winery completely revamped. As for the grape crushing, Dirk is a passionate advocate of the traditional method of 'treading' (by foot) to extract maximum colour and flavour. These efforts resulted in magnificent examples from recently declared years. 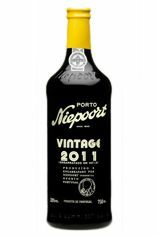 Niepoort Vintage Port has a style that can be appreciated when very young, though as it matures, the wine soon closes up and becomes as long-lived as any. The company used to buy all its grapes from small growers but since the end of the 1980s, Niepoort has invested in their own quintas. 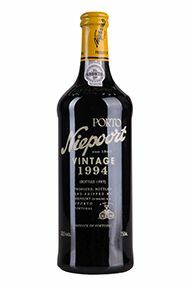 In 1988 it purchased Nápoles, followed by Carril in 1989 and Quinta do Passadouro, an estate made up of four tiny quintas, in 1990. 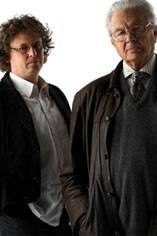 Dirk Niepoort deserves the accolades he receives for his hard work, though this also means the company's wines have become increasingly scarce. Low yielding ancient vines in some very privileged locations (Mendiz, Soutelo and Pisca inter alia) have combined to make what Dirk describes as a ‘perfect year for Vintage Port’, and, tasting the evidence, we are disinclined to demur. Destemming was not deemed necessary; such was the quality of the vintage. The wine has an incredible dense colour and a pronounced nose of graphite, black tea and spice. Black pepper and dark fruit inform the palate, which is fresh, pure and powerful. Dirk Niepoort has produced a truly outstanding 2007; aromatically this is a delight, an over-flowing fruit-basket of indulgence. No change of tempo on the palate, which combines eucalypt, Seville orange and macerated cherries. Sweetness and tannins are harmoniously entwined; the wine crescendos wonderfully then lingers endlessly.